"Our roadshow tour will present innovative roadway and vehicle solutions to many of the problems that drivers face, such as reduced visibility due to inclement weather, nighttime driving, and the hazards encountered in work zones. The existing and future technologies showcased help make the driving experience safer for everyone." 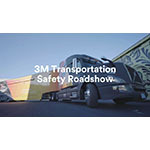 ST. PAUL, Minn.--(BUSINESS WIRE)--3M’s Transportation Safety Division today announced the launch of a nearly 50-city North American roadshow, traveling throughout the U.S. and Canada to showcase 3M road safety technology and innovation. 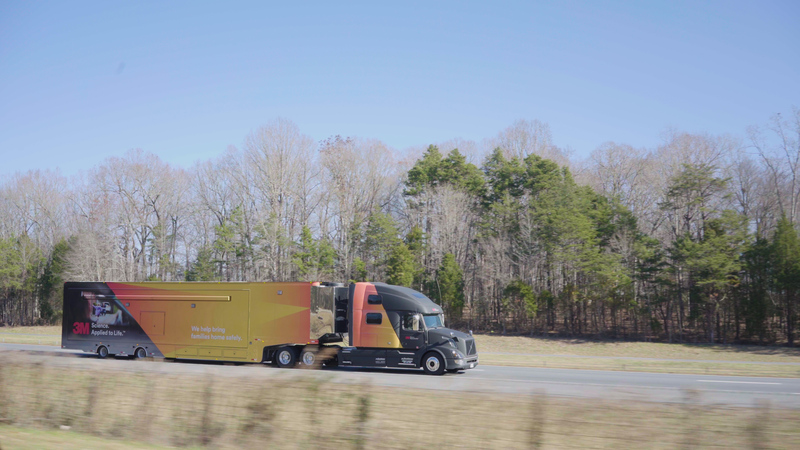 Launching on January 28, 2018, the 3M Transportation Safety Roadshow Truck will offer interactive experiences featuring hands-on, in-person, and virtual demonstrations of innovative 3M technologies in a custom designed 18-wheel, 53-foot long truck. As a leader in this space, 3M aims to increase awareness and understanding of the infrastructure needed to help better protect motorists today, as well as prepare for autonomous vehicles of the future with this roadshow. Beginning in San Antonio, TX, the 3M Transportation Safety Roadshow Truck is highlighting the importance of improving safety for drivers, pedestrians, and road workers, as well as where transportation infrastructure is headed in the future. Anti-Graffiti to see how signs can be kept clear and legible. Fluorescent Technology to understand how fluorescent signs enhance the visibility of signs in dawn, dusk and inclement weather conditions. Virtual Reality to experience the possibilities of how autonomous vehicles interact with traffic signs, work zones, and lane markings. Innovation Theater to watch demonstrations on 3M technology from the driver’s seat. Custom Sign Creation to digitally print personal signs with 3M technology. A partner in the Toward Zero Deaths campaign, 3M is committed to increasing the safety and mobility of U.S. highways and roadways. According to the National Highway Traffic Safety Administration, in 2016 alone, more than 37,000 people died on our nation’s roadways, a 5.6 percent increase from 2015. The 3M Transportation Safety Division develops technologies that improve the driver experience and help to prevent accidents and fatalities that occur because of weather, work zones, visibility and limited infrastructure. 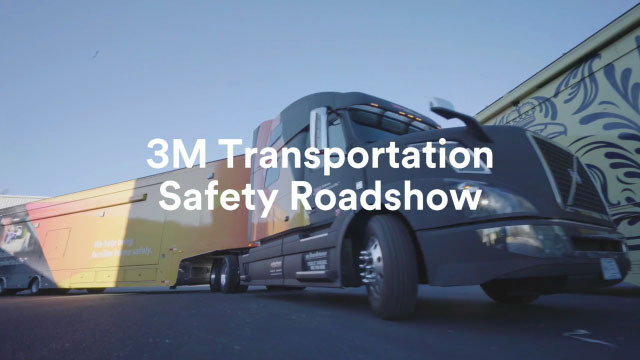 For more information on the 3M Transportation Safety Division Roadshow and to view the truck’s schedule, please visit 3M.com/TSDRoadshow. At 3M, we apply science in collaborative ways to improve lives daily. With $32 billion in sales, our 90,000 employees connect with customers all around the world. Learn more about 3M’s creative solutions to the world’s problems at www.3M.com or on Twitter @3M or @3MNews.